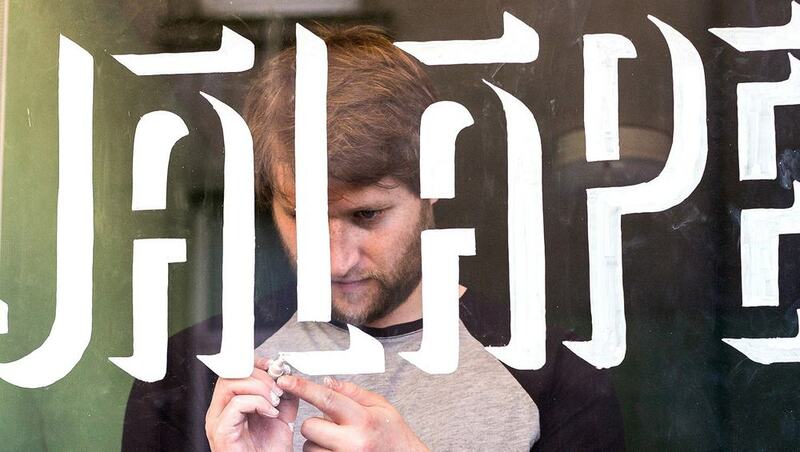 Craig Black is a super talented multidisciplinary typographer currently based in London. 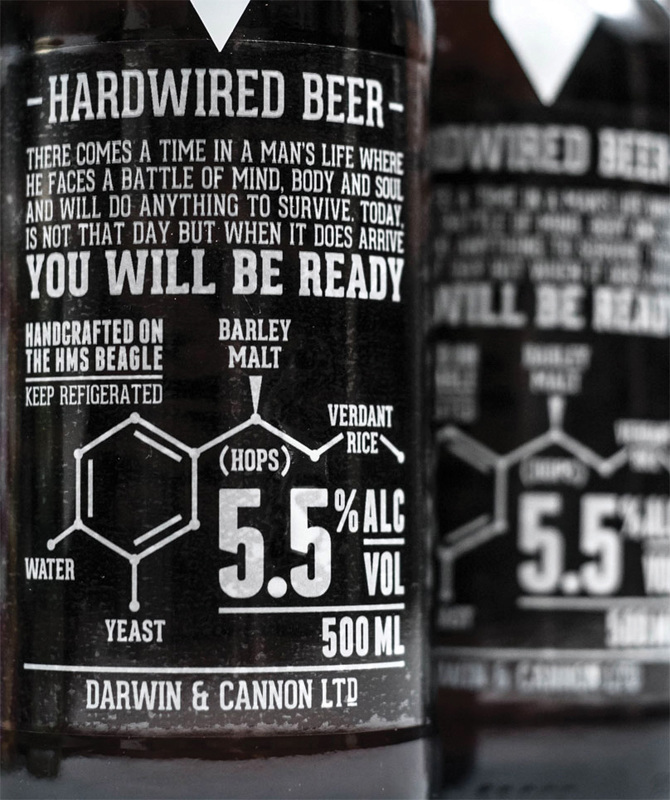 His portfolio is bursting with exemplary typographic illustrations, visual identities, print, packaging and environmental graphics. 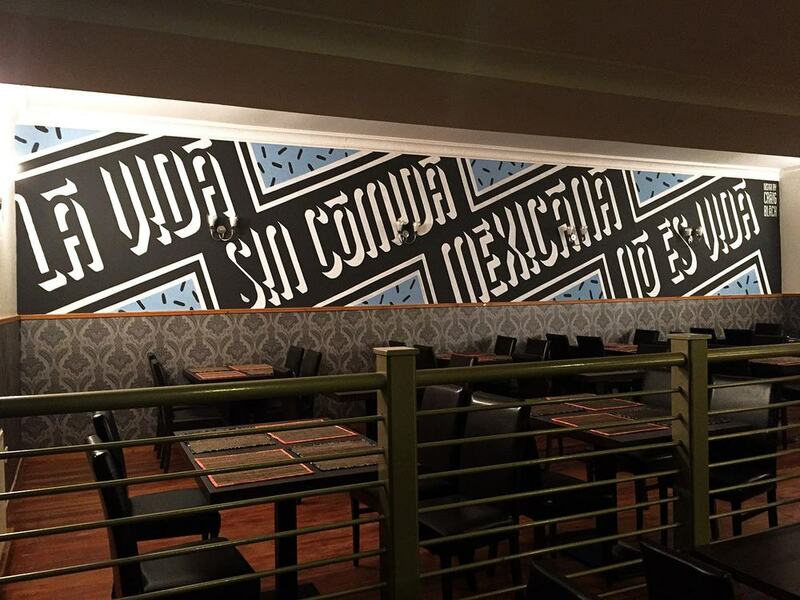 Craig recently completed a new visual identity and hand-painted murals for Chido Mexican Kitchen (based in Greenock, United Kingdom). 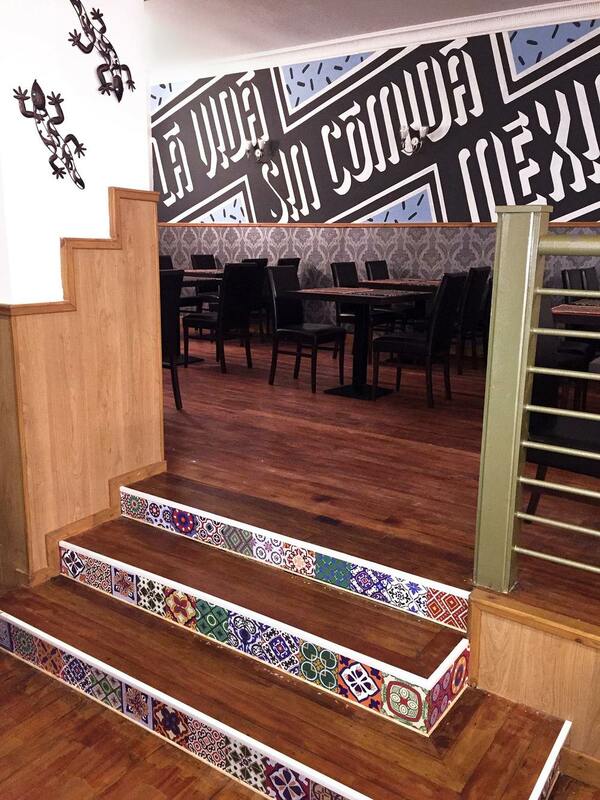 Engaged by well-travelled chef/owner, John Derrick, Craig's brief was to create a brand that avoided the usual tired clichés commonly associated with modern Mexican restaurants and to create an environment that introduced the West of Scotland to the vibrant market place dining experiences of Mexico. I think Craig has done a fantastic job and so asked him to share a little about himself and his work. I’m a Scottish born graphic designer, illustrator and typographer. Having spent the first few years of my career in leading design agencies gaining experience in print, motion and everything in-between, I currently run my own design studio in London, United Kingdom. I’m primarily known for bespoke and innovative typographic illustrations, visual identities, packaging, installations and murals. Due to this versatility, I been lucky enough to work on a varied mix of projects with local and international clients of all business backgrounds. What about Type, calligraphy and/or Lettering specifically turns you on/excites or interests you? I was always intrigued by the beauty and excitement of a letterform as a sign or as a drawing when I was younger. Later on, I noticed that there were so many possible ways to express a word through beautiful typography and I started to learn how to express human emotion by lettering. All humans are very sensitive to lettering in a way, not a lot of people do it, but they can enjoy it more than they think which excites me as I able to create a story for them. I see so much in lettering and the whole idea for me is to create a world of images; I do a lot of lettering which is very illustrative but then flows to other typographic means which also excites me. 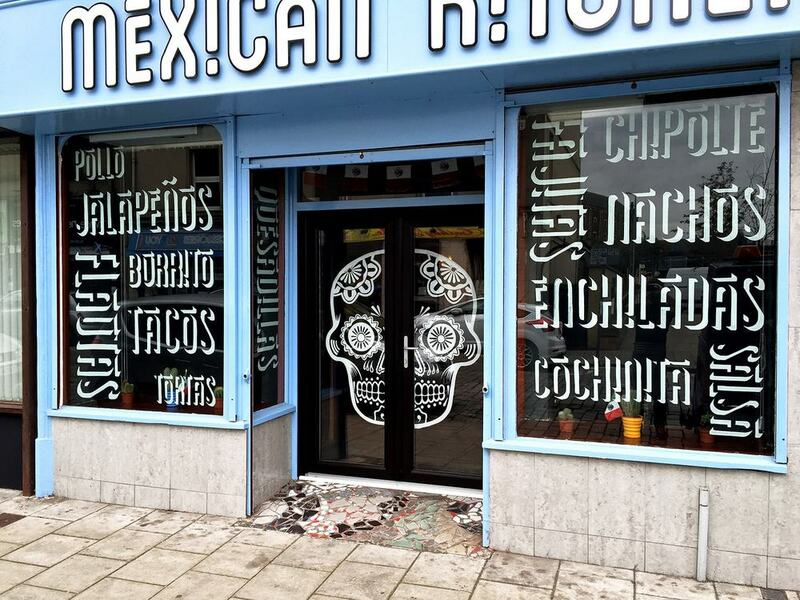 In your recent Chido Mexican kitchen project you were engaged not only to create the identity elements by way of branding and collateral but also to design artworks for the interior and exterior of the retail environment... How did you get in to sign painting and environmental graphics? Was Slicks BarberShop your first shopfront? Yes indeed, it all started at Slick’s! This was my first typographic window mural and it was a total learning curve, it wasn’t exactly huge in size but it was highly detailed, painstakingly so, it took me two full days to complete. I was absolutely exhausted but I thoroughly loved the mental and physical aspect of the project, especially working live with the public and seeing it grow. From that, I grew in confidence, wanting to learn more, I started to excel in my craft and became a lot quicker and efficient. I was never directly taught any of these aspects, I gained all of my knowledge from books, the internet and also through pestering a few experienced designers for advice. However, I brought all of this into my own way of designing. I love that you collaborated with a team to assist in the Chido murals! How did the collaborative install process effect the outcome/delivery of the work? The team that I have put together on a few projects have been fantastic. This collaboration process has been a big part of some of my projects, combining students and experienced graphic designers creates a great fusion. With this collaboration process, the designers are all on the same wavelength, everyone buys into the process and in doing so they gain experience in a field that they probably didn’t think was possible. With each project, the skill and confidence grows creating a high quality standard of work. Your videos are a fabulous insight into your process and it looks like you use lots of different mediums in your work... Do you have a particular media or tool you gravitate toward? Personally, I like to craft things by hand, whether thats drawing a typographic illustration on paper or projecting it onto a large wall. I love the tactile feeling, getting close to any medium with each touch and move I make, inevitably becomes part of the whole design. For me, I enjoy the process and overcoming challenges just as much as the finished article. Do you engage in any routine or rituals during your design process? If so how do they inform your work? having boundaries of a client/designer relationship. This combined process is fundamental for me in creating a successful design. lean towards a certain colour scheme, it can have a direct resemblance to the weather and place that you grew up in. I am originally from Glasgow and to be honest you only have a few really good sunny days a year so he may have a point! Speaking of monochrome - your personal branding suite is brilliant! I love the combination of type genres, the ligatures and interplay between black and white shapes. Designers often acknowledge self branding as being a challenging exercise. Did you experience anydifficulty in expressing yourself in your identity? That famous saying that self branding is one of the most difficult projects is true to an extent however I knew exactly how I wanted to portray myself. By building a portfolio of versatility, I had to characterize this in a professional manner showing that I can flow from the craft of a sleek brand to a typographic illustration. Rather than overthinking the process, I ultimately had fun experimenting. Combining brush stroke typography with hand made packaging gives impetus to who I am as a designer. I approached this project the same way I would approach any other project and set myself a deadline, this was crucial as it can easily lead to a long and winding road of procrastination. Well crafted typography is a consistent thread throughout your work - so I am excited to hear about what you are working on right now? Something that I am hugely passionate about is collaborating more with the creative industry and the public. I feel strongly about giving something back to the community and contributing to the world in general which has led me to a few excellent typographic projects. One that’s aiming to launch very soon is in the form of typographic illustrations that I created for St Mungo’s Homeless Charity in London as part of an awareness campaign, all proceeds of work will contribute towards the charity. I am also undergoing a self initiated project where I will collaborate with secondary schools to create murals across Scotland to raise awareness of the creative industries not only to young people but the wider community. Giving my ambition to contribute on a global scale, I am excited and fortunate enough to exhibit alongside some of the world’s leading design agencies and designers for Glug 17 which is part of The Global Goals campaign. So definitely exciting times ahead! I had the good fortune of spending some time in Glasgow earlier this year and really fell in love with the city. There is a really vibrant creative community (and a lot of great arts and architecture heritage) there. How (if at all!) does this inform your work? What Glasgow lacks in weather, it makes up for in vibrancy. I go back quite often and there is always a new exciting experience, an ever growing creative scene and it’s something I want to contribute to. Glasgow and Scotland is my identity and subconsciously has had an effect in my work especially if the theory of my monochrome style is linked to the weather, then it certainly playing a part! How can people get in touch and connect with you? media such as Twitter, Vimeo and Instagram and also through Linkedin. Also don’t be afraid to drop me an email (hello[at]craigblackdesign.com) and say hello, I like to think I’m quite a nice guy where as my thick Glaswegian accent may suggest otherwise.